water — Canvas Presents, Inc.
What are some techniques composers use to depict movement? Why is water a subject so famously composed about? What role did rhythm play in our pieces about water? From Smetana’s Die Moldau to Debussy’s La Mer, composers have been inspired by water. As universal subject, there is a unique opportunity to observe artistic differences. 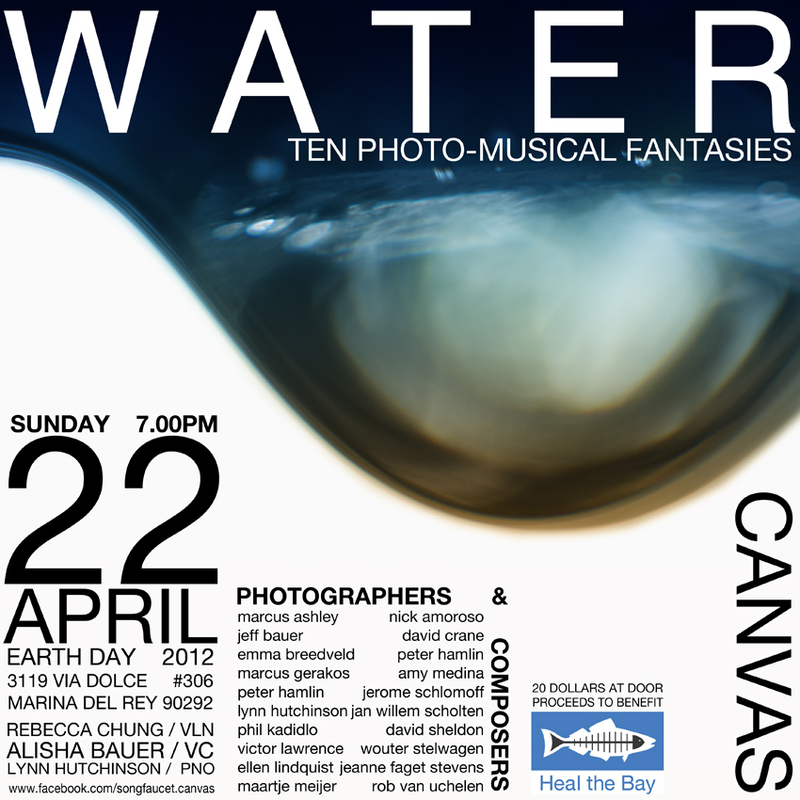 Canvas commissioned ten composers and ten photographers to work in tandem to create a piece on water. The performance is a 60-minute stream of music and art, collected from throughout the United States and the Netherlands.